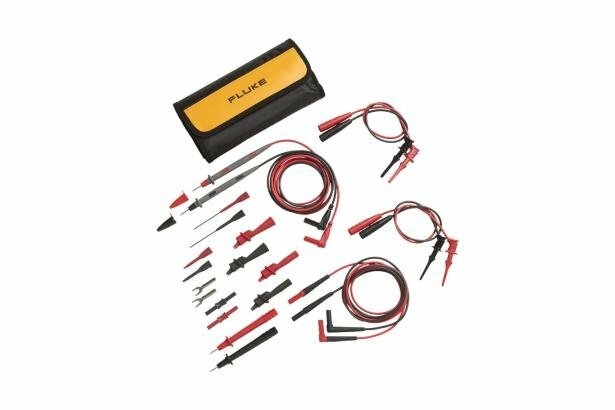 The Fluke TL81A Deluxe Electronic Test lead kit is ideal for testing electronic equipment. It offers test versatility with modular test probes, alligator clips, test clips and other accessories included and can attach directly to the SureGrip™ test leads. The kit consists of a quad fold nylon pouch containing 11 items.